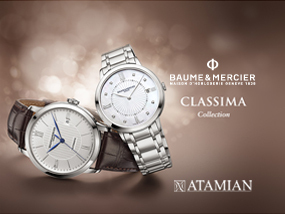 18ct rose gold case, silver-toned dial, central guilloché motif, five moving diamonds, self-winding movement. 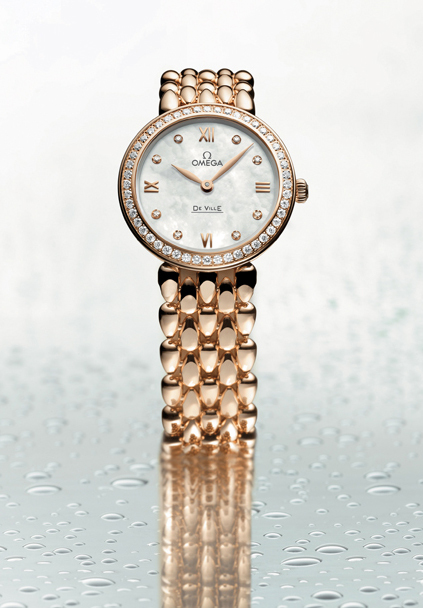 Pink gold watch, bezel set with 62 diamonds, white mother-of-pearl dial set with nine diamond indexes, self-winding movement with hour, minute, small second and date. 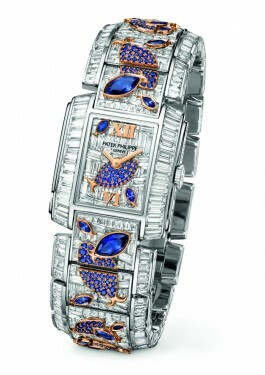 18ct red gold watch, white mother-of-pearl dial, guilloché motif in the center, 8 diamond indexes, quartz movement. 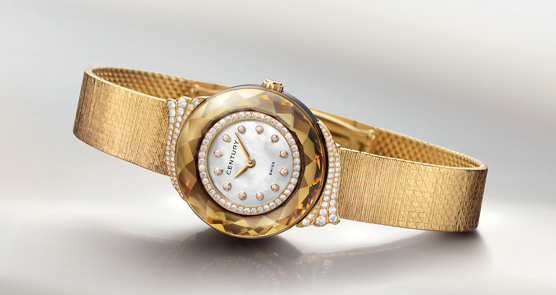 Red gold case, bezel set with diamonds, white mother-of-pearl dial. 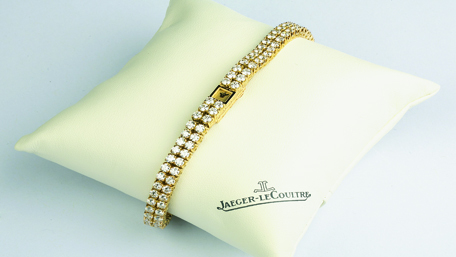 Jewelry bracelet made of dewdrop-shaped beads crafted from 18ct red gold. Quartz movement. 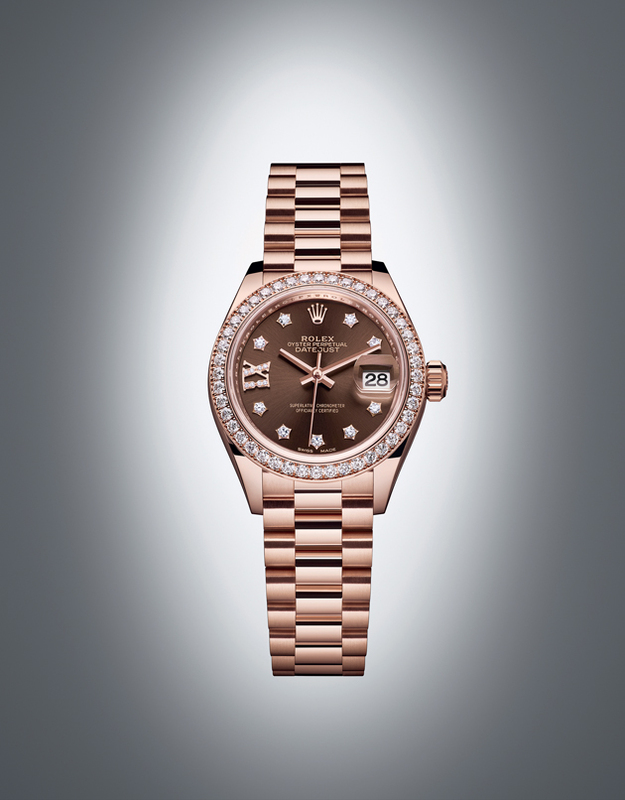 18ct Everose gold watch, bezel set with 44 diamonds, chocolate sunray finished dial, self-winding movement. 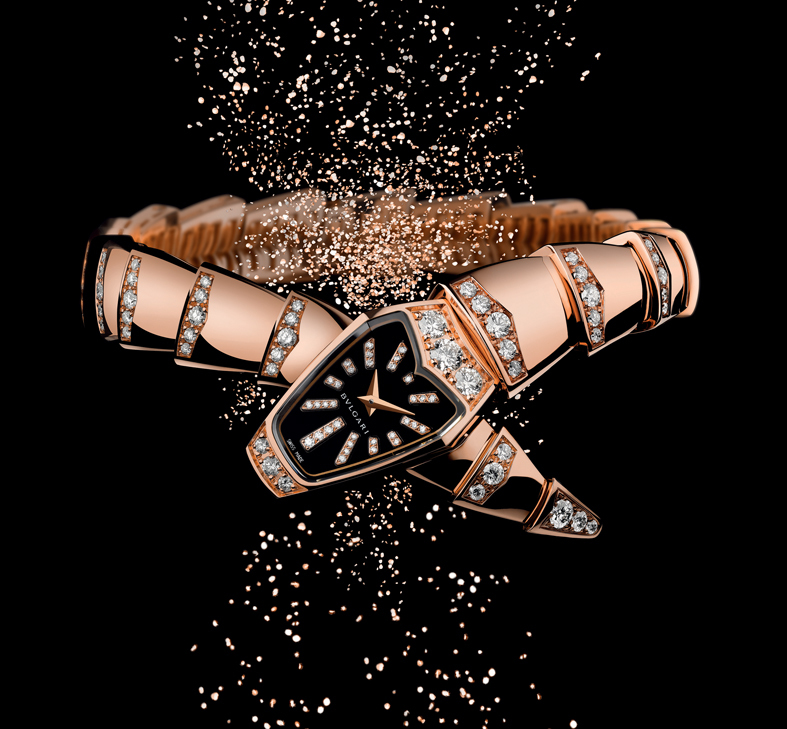 Traditional oval watch in 18ct pink gold set with 24 brilliant-cut diamonds, silver dial, Palace decoration, pink gold bracelet. 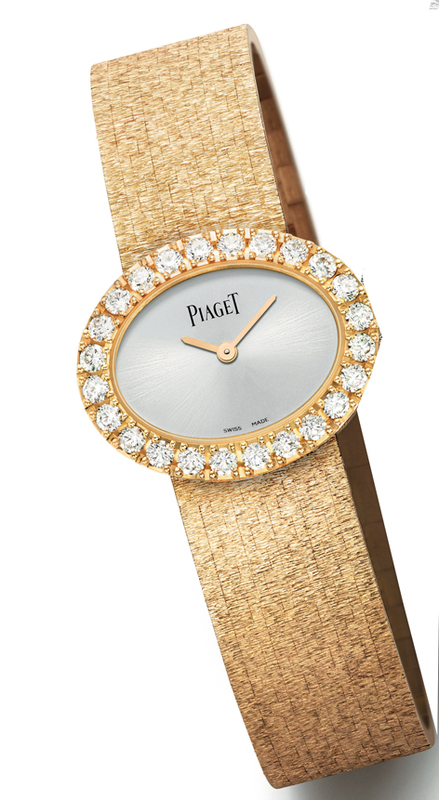 Piaget 56P quartz movement. 18ct yellow gold case set with 128 diamonds, Century sapphire with 48 facets cut and polished by hand, natural mother-of-pearl dial, milanese mesh bracelet in 18ct yellow gold. Quartz movement. Polished case in yellow gold set with gold beads and a row of diamonds, white mother-of-pearl dial set with 4 diamonds, bracelet sculpted in yellow gold with two straps in the shape of a drop set with diamonds. Quartz movement. 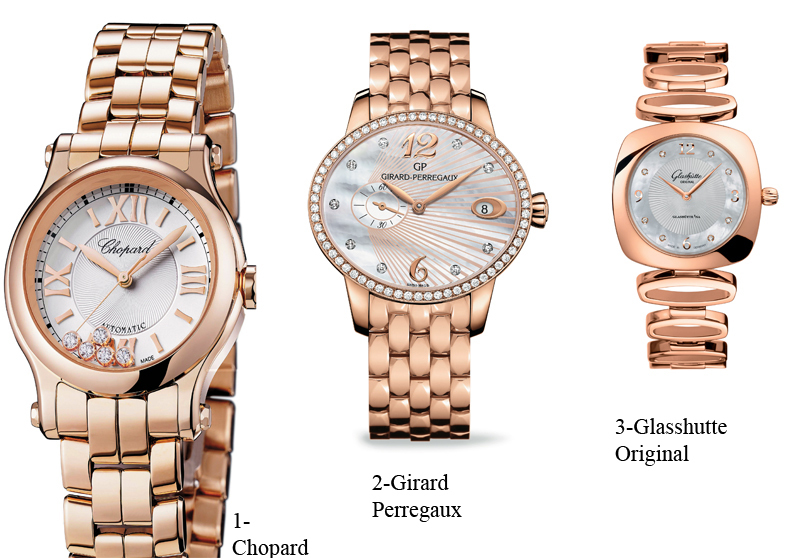 Pink gold curved case set with 6 diamonds, white mother-of-pearl dial set with 33 diamond indexes, one-row pink gold bracelet set with 96 diamonds. Quartz movement.